The islands of Orkney are covered with reminders of the people and events that have played a role in its rich history. Ancient settlements and monuments of the Stone Age can be found in an incredible state of repair, providing us with a glimpse thousands of years into the past. 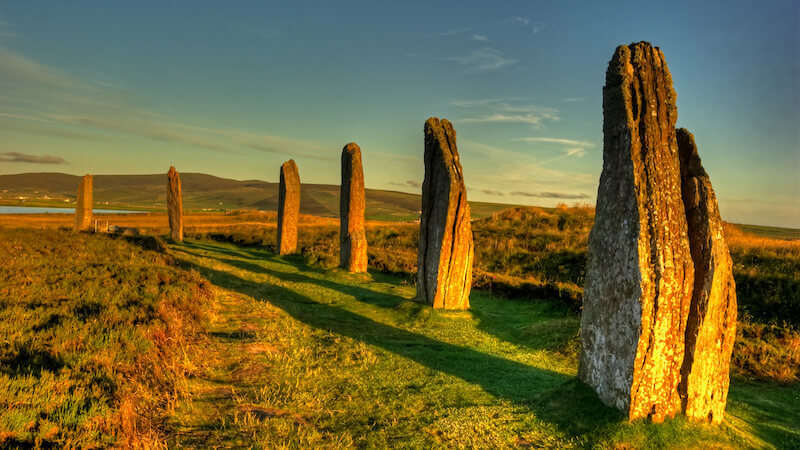 Read on to find out more about the amazing sites you can visit while exploring Orkney. 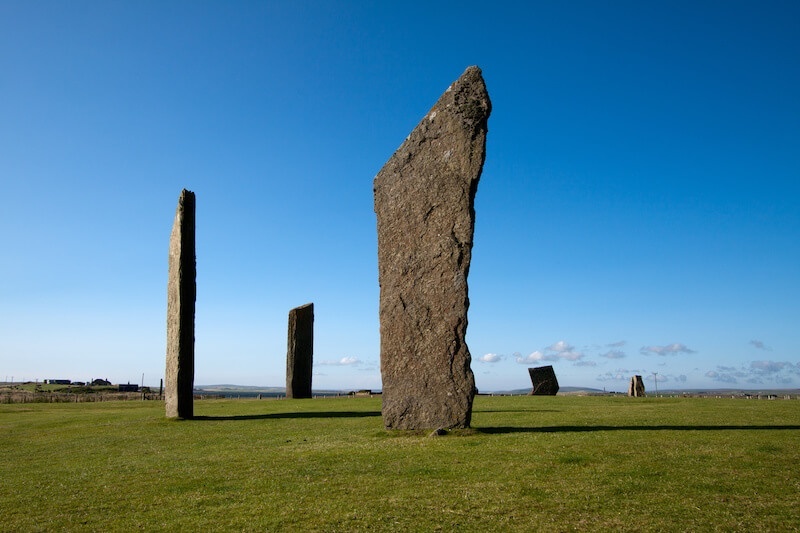 An iconic site that has come to represent Orkney’s ancient heritage. The age of the site isn’t known for certain, but it is thought to date from between 2500 BC and 2000 BC. The ring is built in a circle that measures almost 104 metres wide with 27 stones remaining from the around 60 that are speculated to have stood. The stones that stand here are much smaller than those at Stenness, varying from around 2m to 4.7m. As soon as you reach The Ring of Brodgar you’ll realise why the location was chosen for this ceremonial monument, the circle stands in a stunning landscape surrounded by hills, this is accentuated by the nearby loch, which didn’t actually exist at the time the circle was created. This 5,000 year old prehistoric settlement was uncovered by a violent storm in 1850 and has been fascinating visitors ever since. Visiting this village gives you chance to set foot in a settlement older than Stonehenge and the Egyptian Pyramids, walking through homes in which you can see the stone beds, dressers and seats that were used by ancient Orcadians. There’s also a replica house that allows you to explore what the interior of these homes would have looked like. The visitor centre on site features touch-screen presentations, quizzes, and artefacts that were discovered during archaeological excavations. The megaliths that make up this monument stand up to six metres tall and can be seen for miles around. It was originally made up of 12 stones, only 4 now remain. The site has been dated at around 3100 BC, making it one of the earliest stone circles in the UK. The main point in the interior of the circle that you’ll come across is the large hearth that’s made up of four slabs. A short distance to the north-west of the circle you’ll find The Watchstone, an imposing monolith that stands 5.6m tall and was once part of a pair of stones that it is thought perhaps marked the approach to the Ness of Brodgar. A prehistoric chambered cairn that sits close to the banks of Harray Loch, it is the largest and most impressive of Orkney’s many cairns. From the outside it appears little more than a grass covered mound and can be seen for miles around. Maeshowe’s interior is made up of a large central chamber and three smaller side chambers that are built into the walls, the inside is reached via a tight, long entrance passageway. 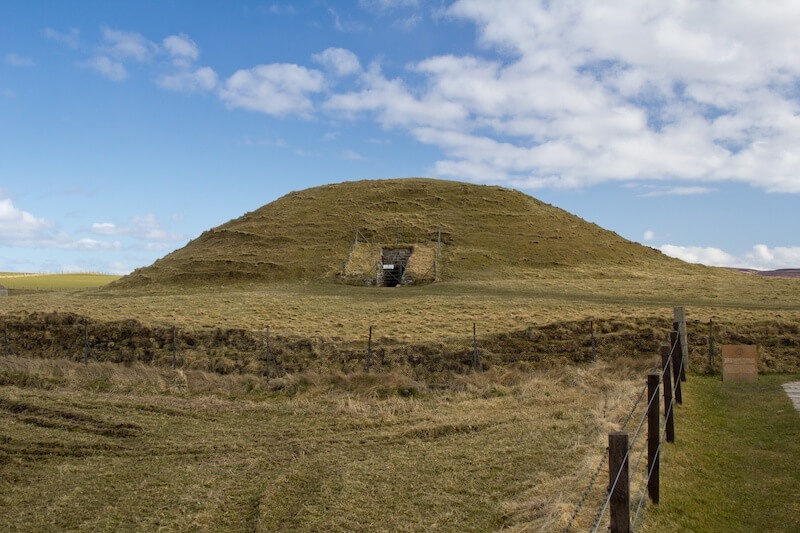 One of the most famous features of Maeshowe is its alignment with the sun during midwinter. For a few days each year as the sun is setting the last rays of the days shine through the entrance passage of Maeshowe, illuminating the back wall of the central chamber. 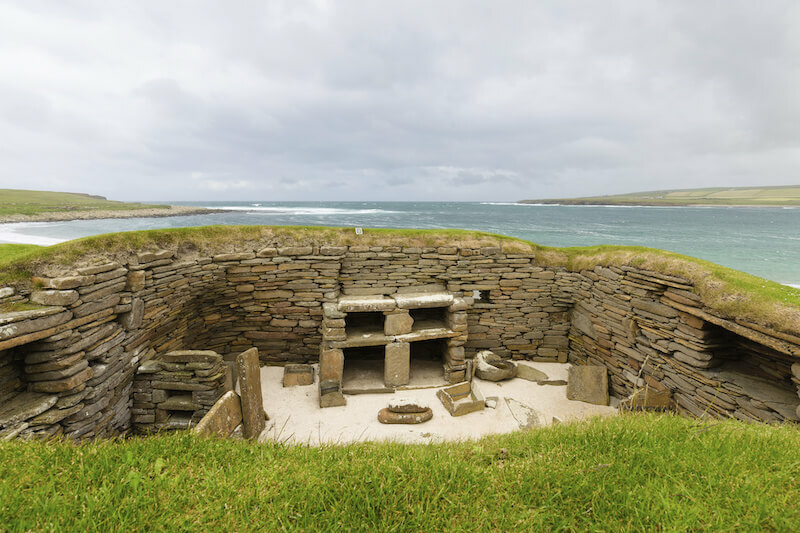 Located on one of Orkney’s most southerly islands, South Ronaldsay, the Isbister Chambered Cairn, or ‘Tomb of the Eagles’ as it’s better known, is one of Orkney’s most visited archaeological sites. It was discovered by chance in the 1950s by a farmer, this Stone Age tomb included a huge collection of bones and artefacts that dated back 5,000 years. At the modern visitor centre you can actually handle some of the original artefacts found at the site and enjoy displays and talks that offer insights into Stone Age and Bronze Age life. You can also enter the tomb itself via the tight 3 metre passageway that measures 70cm wide and 85cm high, either by crawling or using the ingenious trolley system. The remains of the Broch of Gurness can be found in the north-east of Orkney Mainland at Aikerness in the Parish of Evie, overlooking the water of Eyeshallow Sound and across to the island of Rousay. 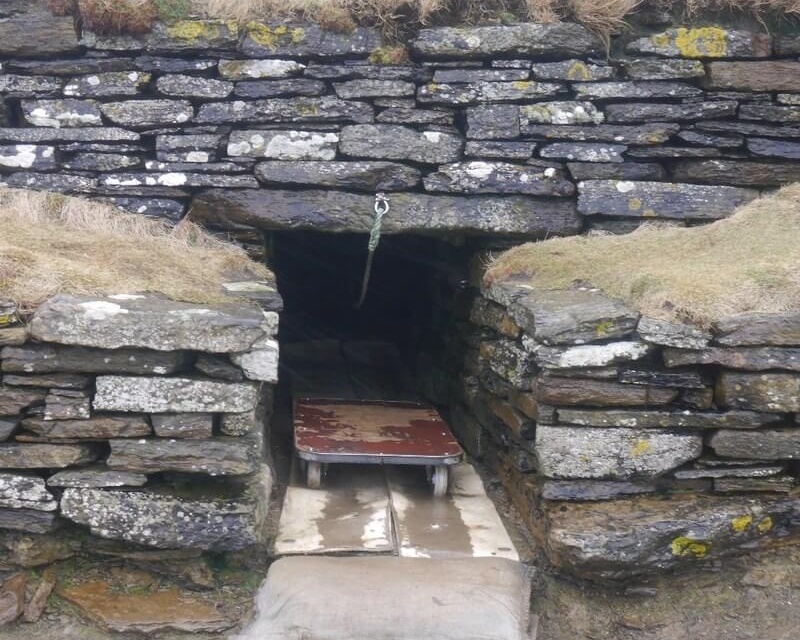 It’s generally agreed that the broch was built between 200 BC and 100 BC and at the time it stood at around 8 metres tall and had an internal diameter of 20 metres. The broch was surrounded by a series of smaller stone settlements, the remains of which can still be seen, these were also encircled by outer defences of ramparts and ditches. Signs of later settlers have been found at the site, including evidence of the Pictish nation that Orkney was part of and the later Viking occupation. 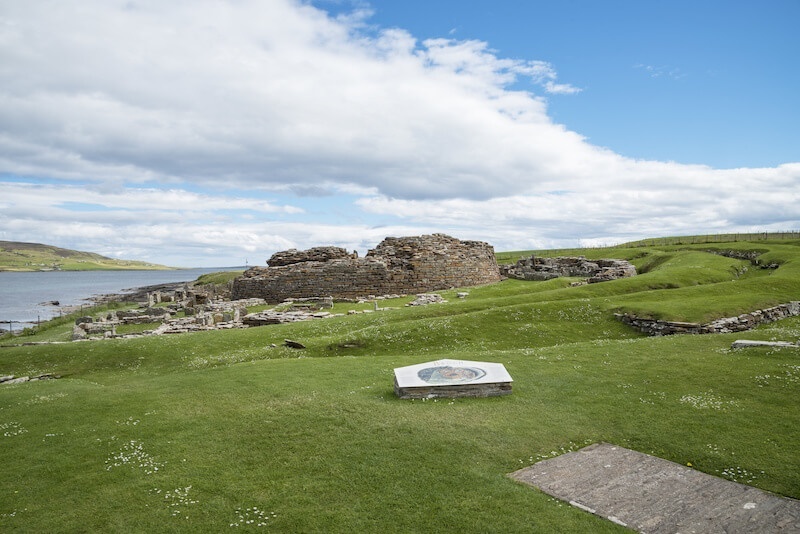 Visiting Orkney to enjoy the wonders of its ancient past is a fantastic way to spend your holiday and reaching them all in comfort couldn’t be easier than with a luxury motorhome hire.